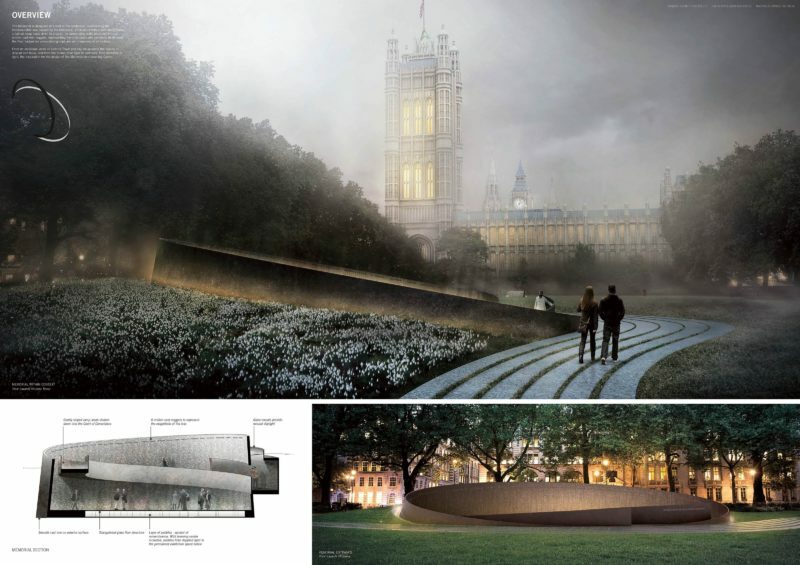 The subtlety of the design of the UKHM gradually reveals the power of the opposing forces that created the descent into a horror of hitherto unimaginable scale, and a humanity of unlimited compassion and selfless commitment. 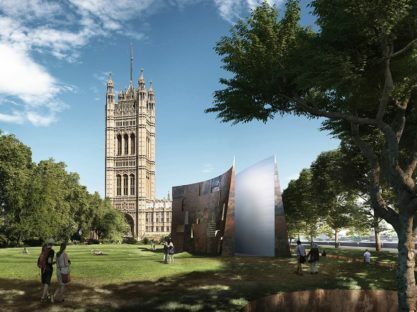 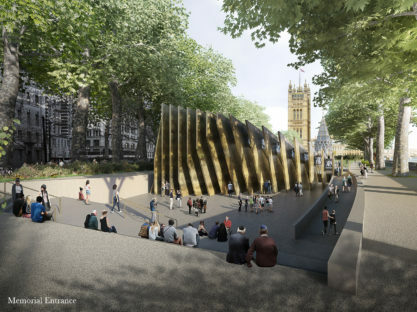 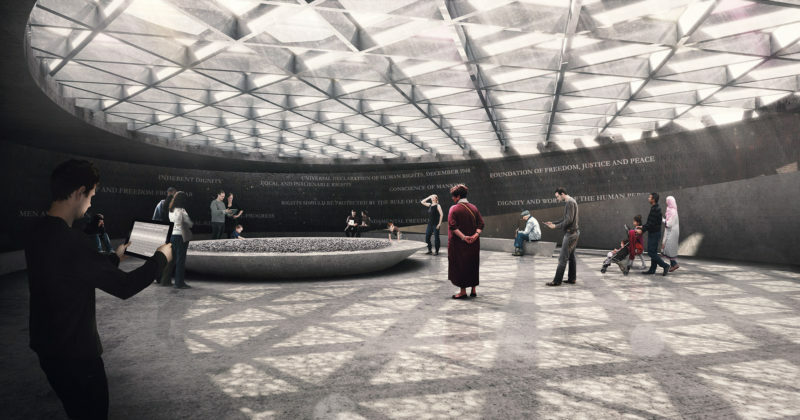 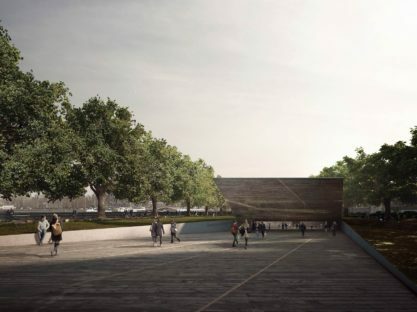 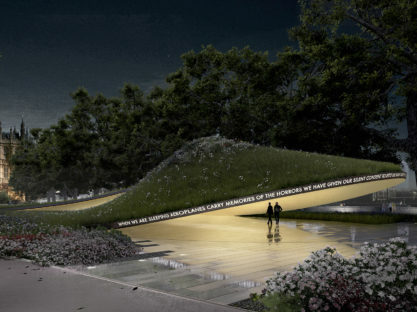 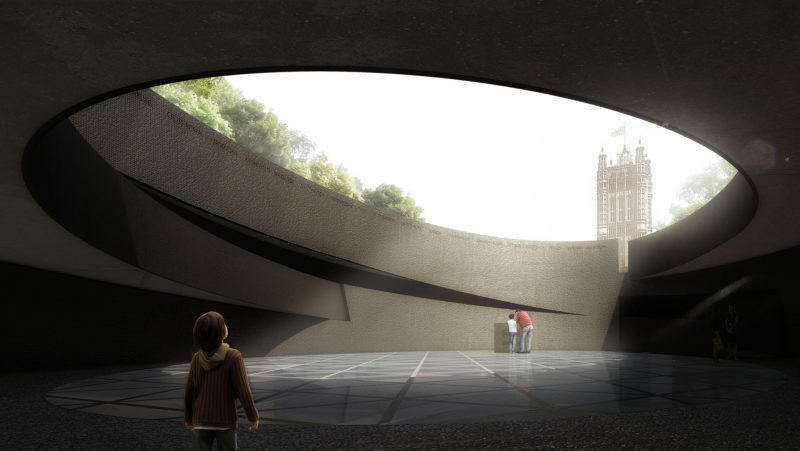 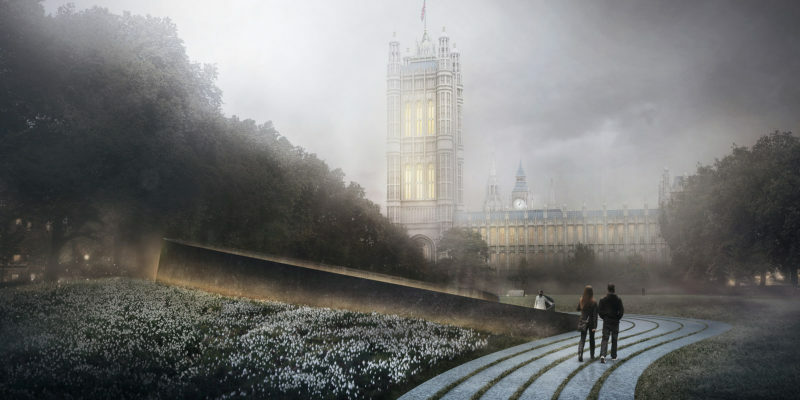 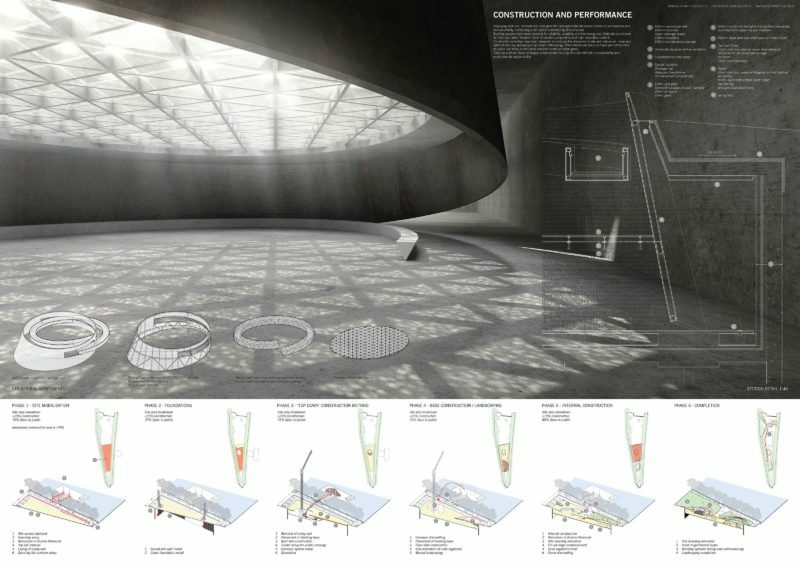 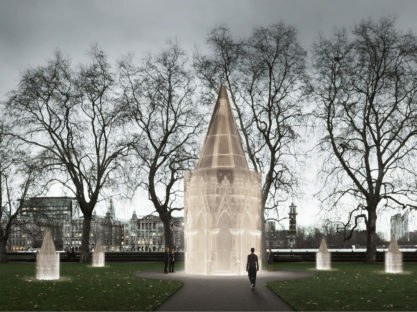 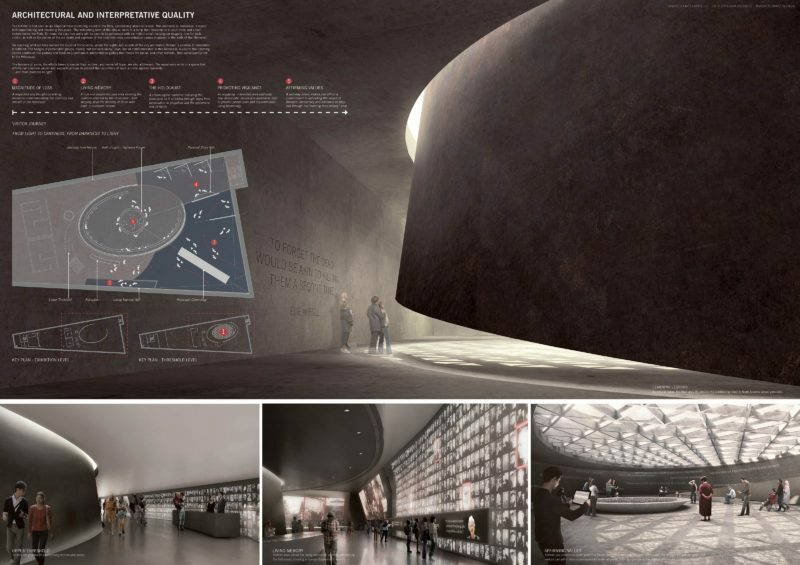 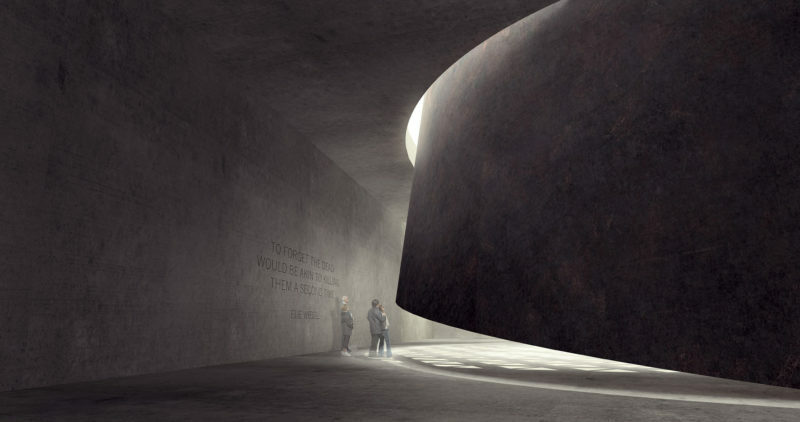 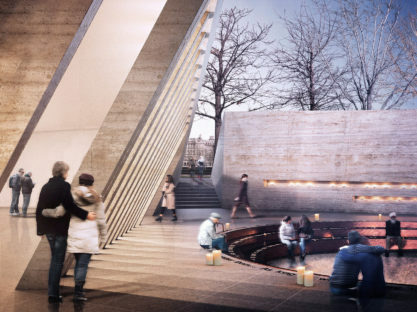 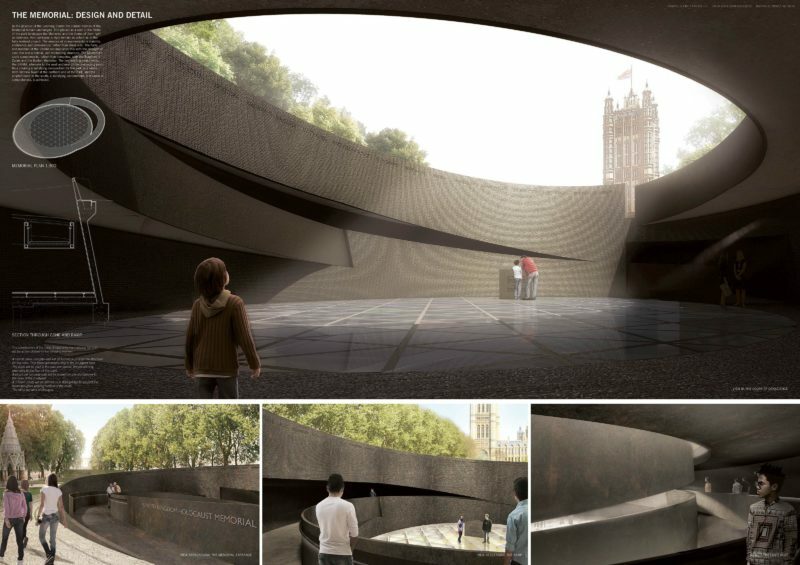 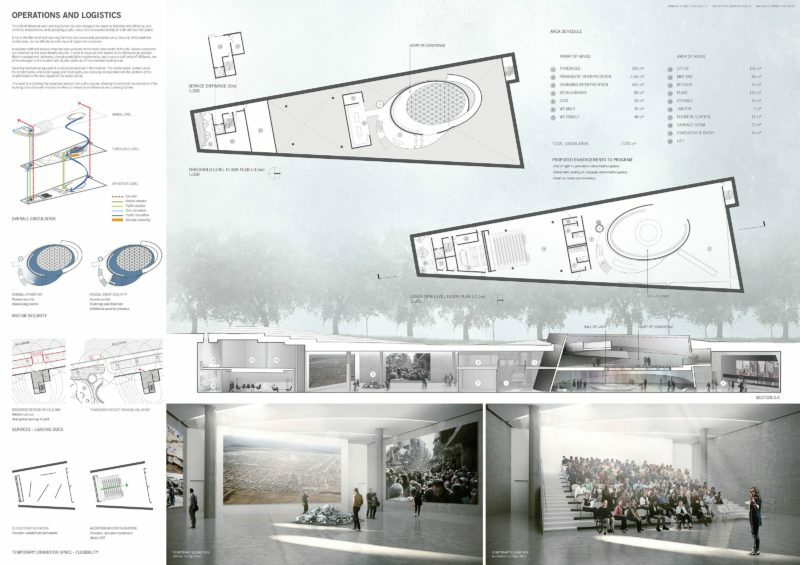 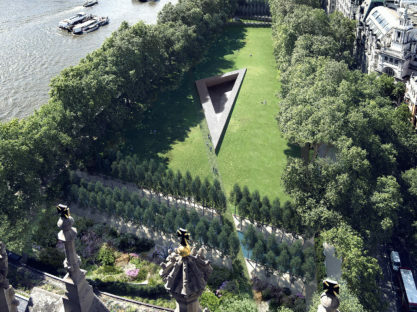 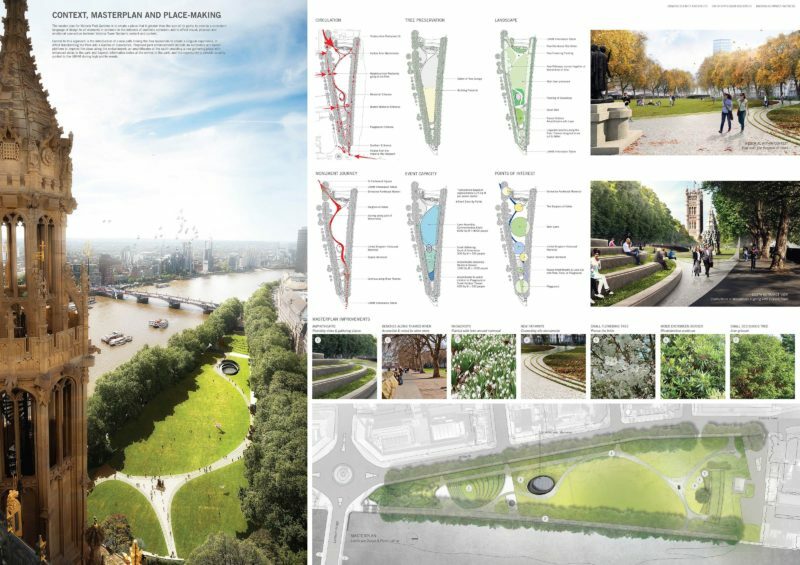 To create a memorial that is commensurate with its prominent site, and appropriate to content of such gravity, the architecture most suitable to serve the purposes of remembrance and caution against the repeat of intolerance, is one of restraint, yet notable form. 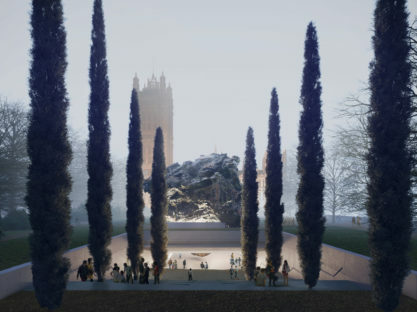 Expressing the magnitude of the tragedy and the consequences of indifference to intolerance will have achieved the purposes of the UKHM and Britain’s promise to remember. 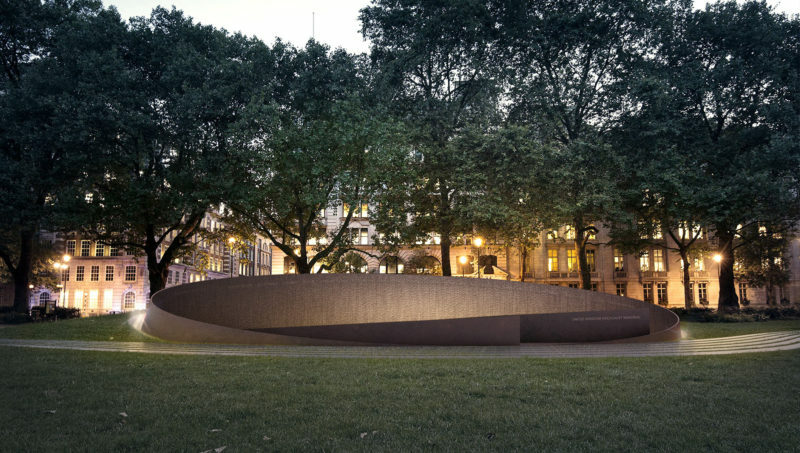 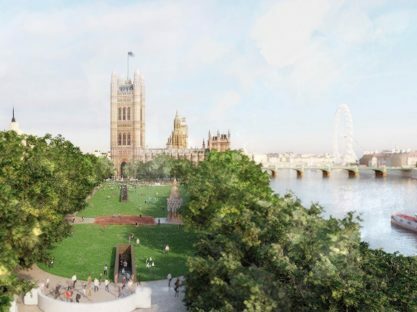 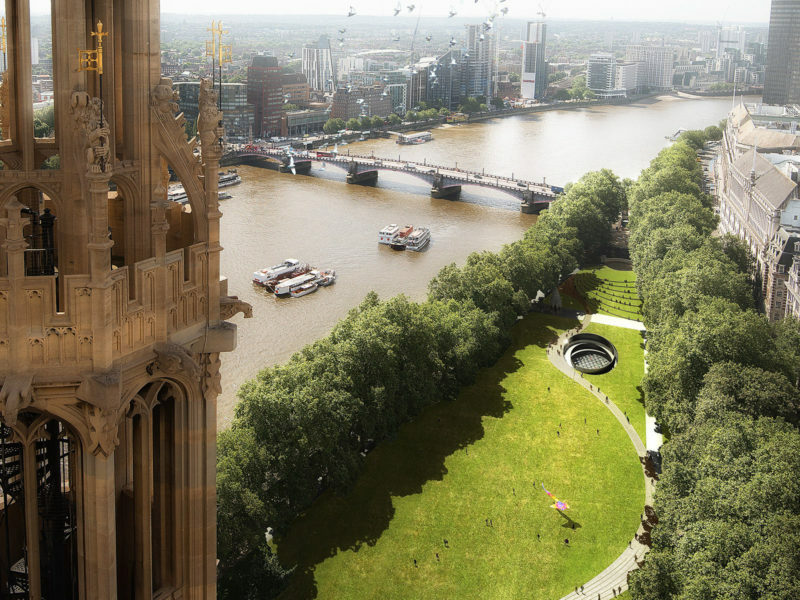 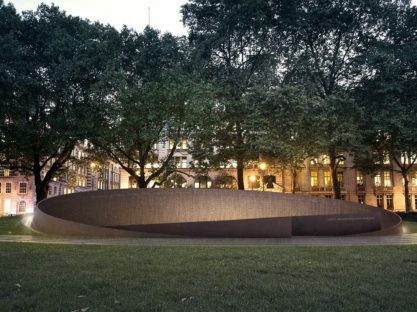 The inclusiveness of this memorial is also intended to rekindle hope for all those threatened, regardless of belief, ethnicity or gender, for it is manifestly clear that the bell tolls for all of us, even if at times it seems to toll only for others.